Mail call! I’ve run a few fun sessions of Scarlet Heroes recently, and decided to pick up the Red Tide campaign supplement from which I can pull campaign ideas. 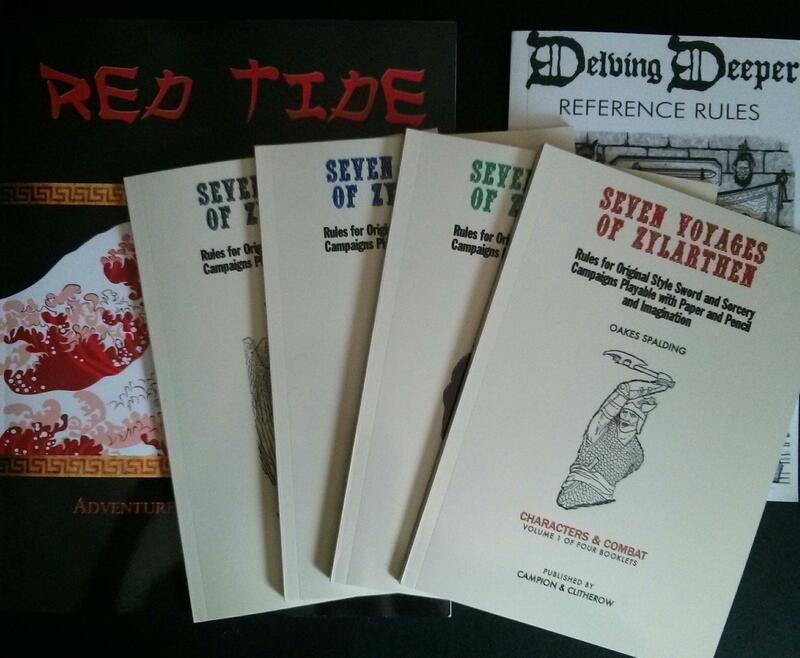 I also had Lulu print a digest copy of the Delving Deeper v3 Reference Rules (I’ve been in a PbP Delving Deeper game since last fall and have enjoyed it a great deal), and finally the Seven Voyages of Zylarthen, which at first glance (the PDFs are free) is another nicely done OD&D retroclone with some unique differences (edit to add: the author calls this a neoclone, which does seem more apt). I’ll dig into the latter a bit more and post a review when I can.